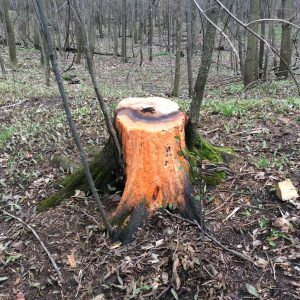 Two UW Extension Garden Facts documents have been updated with the latest information on treating trees to protect them from emerald ash borer. Check out the Homeowner Guide and the Professional Guide. 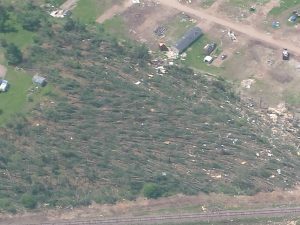 Written by: Linda Williams, forest health specialist, Green Bay, (Linda.Williams@wisconsin.gov), 920-662-5172. 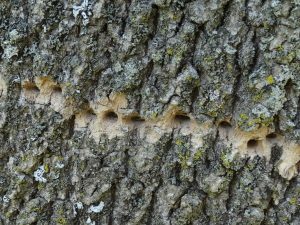 Emerald ash borer (Agrilus planipennis) continues to be found in new areas. 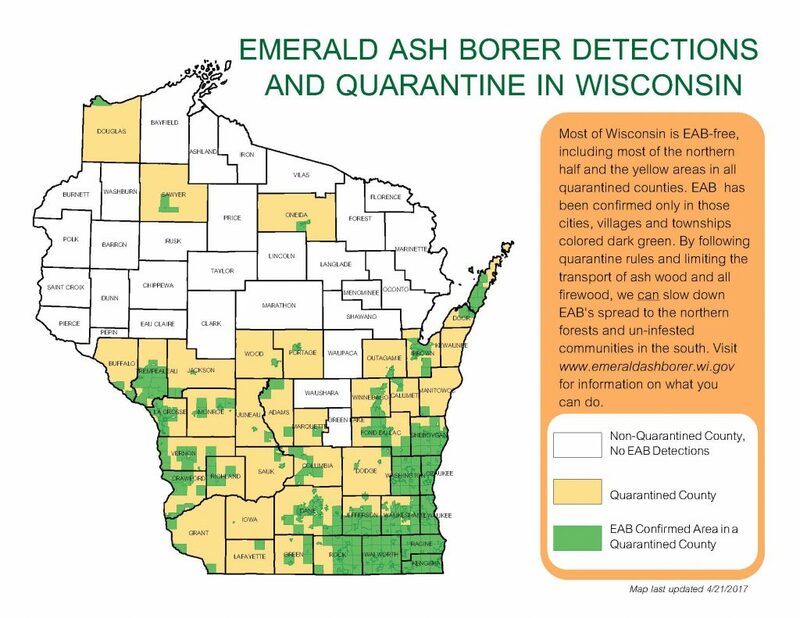 Wisconsin continues to track EAB at the municipality or township level; quarantine counties are shown in tan and infested areas are shown in green on the map. is not shaded at all on the map please contact DATCP. You can reach both agencies from the menu options when you call 1-800-462-2803. Porcupine damage to red pine. Porcupines and squirrels damage trees by eating the bark. Sometimes they remove large areas of bark on branches as well as on the main stem. On sunny days the pale wood where the bark has been stripped off really stands out in the woods. Several reports have recently come in of bright orange slime on trees or on mulch in Brown, Door and Shawano counties. Slime molds and yeasts can make bright colors, usually pink, orange, or yellow. Don’t panic – they don’t harm the tree. 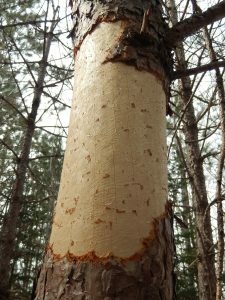 Often the orange, slimy areas on trees are associated with sapsucker wounds, where the tree has been bleeding sap on which microorganisms are growing. 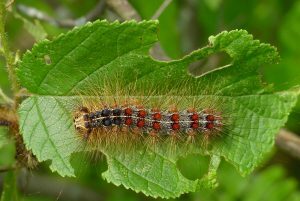 We see these most during the spring when the weather is moist, but once the weather warms the slime will dry up, leaving just a faint orange tinge to the tree where they were. Sapsuckers wound trees and return to lick the sap that oozes from the wounds. 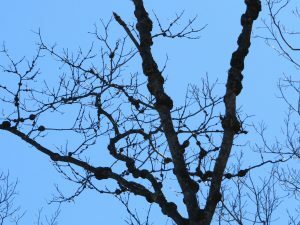 Northern red oak with many phomopsis galls on the branches and on the main stem.